Geo-Professional engineering is the application of the sciences of soil and rock mechanics, engineering geology and other related disciplines to civil engineering design and construction, and to the preservation and enhancement of the environment. We provide services to a wide range of clients including Contractors, Developers, and Structural Engineers. We undertake projects of all sizes. Shallow rock, groundwater seepage, sinkholes, buried debris, expansive or compressible clays – conditions that keep Owners and the Design Team up at night, worrying whether any of these might be encountered during development, impacting schedule and/or budget. This is where Underhill can help. Before any boring is drilled, Underhill works with you to develop the optimum scope to evaluate your site. 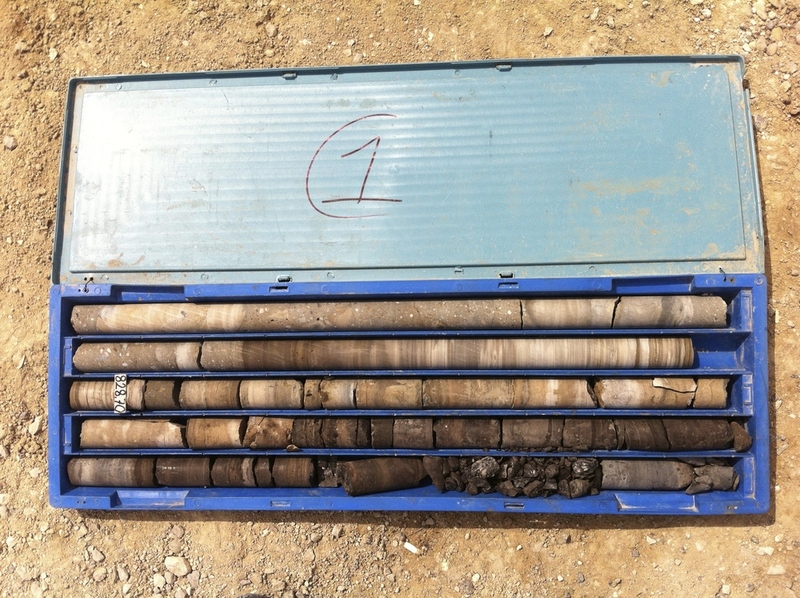 This includes a thorough review of the geology to assist in the subsurface exploration program - typically borings or test pits, sometimes combined with geophysical techniques. Field tests are complimented with laboratory tests, the data analyzed, and design recommendations presented. Results clearly presented, including problem areas identified, so that quantity estimates can be easily made, allowing development of appropriate budgets during the project planning. The foundation design best suited for the field conditions, with an emphasis on constructability to meet project budget and schedule demands. Innovative techniques, developed with over 30 years experience in the industry, allow Underhill to provide Clients with foundation and wall systems that are not only efficient but provide long term performance. Sustainable solutions, such as using recyclable materials and addressing low impact development requirements provide the assistance needed to minimize site impacts. With fluctuations in fuel costs, ground-source heat pumps offer an attractive solution for heating and cooling. With their increased efficiency, these systems provide lower energy consumption than conventional systems, providing means for owners to meet their long-term energy needs. Underhill provides an extensive geologic review of the site, helping our clients reduce risks by avoiding problematic areas such as those prone to sinkholes. This is of particular value during the preliminary project planning to assist in determining whether geothermal is right for the project. The geologic review and site reconnaissance also compliment Underhill’s testing program by presenting the owner with the more efficient location(s) on site for the well field, particularly valuable on larger sites. Test holes are installed with the ability to be incorporated into the final well field. This is valuable not only for project planning but for design-build projects, where construction sequencing is of paramount importance. With the site conditions and thermal properties characterized up front, the owner can attain more competitive prices from contractors submitting on the well field construction. Maximizing re-use of on-site soils and rock - reducing reliance on off-site imports and reducing costs, resulting in a more sustainable project. Recycling materials such as glass, concrete, rubber, etc. for re-use in construction - reducing the waste stream and lowering export costs. Maximizing development footprints with earth retaining designs such as reinforced walls and slopes, and specialized tieback and soil nail systems. Keeping construction schedules on track with site mitigation techniques such as groundwater control and stabilization of subgrades. Designing high capacity foundations, which require less space and materials, and often allows existing structures to remain intact, of particular value for remodeling and rehabilitation projects. Underhill provides these GeoConstruction services through our service agreements with contractors and developers, where Underhill is engaged on individual projects through task orders. Our clients value this approach since it allows for prompt service, especially valuable for projects requiring emergency responses.